Rudolf Ackermann, the sixth child of Barthel Ackermann (1723–1798), a saddler, and his wife, Justina Scharschmidt (1732–1808), was born in Saxony on 20th April 1764. In 1779 Ackermann was apprenticed as a saddler. However, he had become increasingly interested in drawing and at the age of 18 he moved to Dresden to train as a carriage designer. He also spent time in Switzerland before travelling to Paris where he found work as a designer. In 1785 Ackermann found employment at the carriage making firm of Simons in Brussels. Two years later he arrived in London. According to his biographer, John Ford: "His model of a state coach for the carriage maker Goodall led to his first important commission, the design of a state coach for the lord lieutenant of Ireland in 1790; he was also employed to decorate the existing coach of the lord mayor of Dublin. He designed a state coach for George Washington in America, and an innovative security mail coach which ran between Charing Cross and Greenwich." Ackermann married Martha Massey (1769–1811) in 1792 and the couple set up house at 7 Little Russell Street, Covent Garden. Over the next few years they had nine children. Ackermann now began to concentrate on publishing and in 1795 Ackermann opened his first print shop, where he sold prints, books, artist materials and exhibited paintings. In 1797 he moved to larger premises at 101 Strand. Ackermann began publishing decorative hand-coloured prints. This included over 100 political and social caricatures by Thomas Rowlandson and other leading artists. He began working with the talented water-colour artist, William Pyne. Their first collaboration, Book with Groups of Figures for Decorating Landscapes appeared in 1798. The expansion of his business was in part financed by Prince Philipp von Lichstenstein. Ackermann continued to design carriages. According to the author of Ackermann, 1783–1983: the Business of Art (1983): "In 1804 a carriage of his design carried the pope to the self-coronation of Napoleon Bonaparte in Paris, and at the end of the following year he was commissioned to design the elaborate funeral carriage and the emblematic designs on the coffin of Admiral Lord Nelson. In 1806, using false papers, Ackermann travelled to Saxony, then under Napoleonic blockade: he visited Hamburg and Leipzig, escaping French troops by disguising himself as a coachman, and travelled to Vienna before returning to England." In 1808 Ackermann began his most ambitious venture, The Microcosm of London. Completed in 1810 it contained 104 large folio hand-coloured aquatints. William Pyne wrote the text and helped Thomas Rowlandson and Augustus Pugin with the illustrations. This was followed by The Repository of Arts, a monthly magazine. John Ford points out: "Begun in 1809, featuring fashion and social and literary news, continued for twenty years, during which time 1432 hand-coloured plates appeared in it. 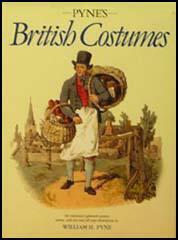 It remains an important sourcebook for Regency style and fashions. Ackermann employed not only the architectural draughtsman Augustus Pugin, but also a figure drawer of genius, Thomas Rowlandson, who filled the interior views of London's landmark buildings with convincing life." Throughout his career he worked very closely with William Pyne. 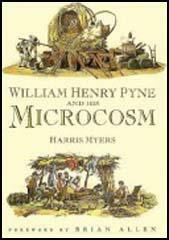 According to Pyne's biographer, Harris Myers: "He (Pyne) also contributed the text for the first two volumes of Ackermann's Microcosm of London (from 1808). Thereafter, Pyne's collaboration with Ackermann was considerable, with the publication of Rudiments of Landscape Drawing in a Series of Easy Examples (1812); W. H. Pyne on Rustic Figures in Imitation of Chalk (1813); and Etchings of Rustic Figures for the Embellishment of Landscape by W. H. Pyne (1815), first published in Ackermann's Repository. He also supplied the figures for some of the plates in Ackermann's A History of the University of Oxford (1814) and one drawing to A History of the University of Cambridge (1815)." Ackermann visited Saxony on a regular basis and in 1822 he introduced to England the German "gift book". This first annual, Forget-me-Not, proved an unprecedented commercial success, 20,000 copies a year being published. He also developed close contacts with other countries. He sent his son George Ackermann (1803–1891) to open shops in Mexico and Guatemala. Later he established shops in Colombia, Argentina, and Peru. According to John Ford: "Ackermann... published over 100 books in Spanish, including textbooks which played an important part in the education of the newly independent republics." In 1825 Ackermann established his eldest son, Rudolph, in a print shop at 191 Regent Street. He continued to publish decorative books and colour plate books, including a book on the Royal Pavilion in 1826. He married for a second time at the age of 63. Ackermann's investments in South America caused him serious financial problems. In 1828 he wrote that he was working from 6 a.m. to midnight every day in order to keep his publishing business going. Overwork affected his health and in 1830 he had a serious stroke, followed by paralysis. He suffered a second stroke in November 1833 and died on 30th March 1834 at his home at Cold Harbour, Finchley.